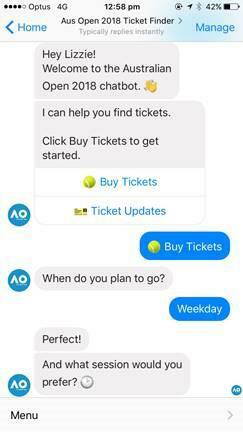 A new chatbot designed to help Tennis Australia directly sell tickets to the Australian Open 2018 via social media has chalked up 170 per cent more conversions than its traditional go-to-market model. The sporting organisation partnered up with Zenith Melbourne in October to launch a Facebook Messenger bot that guides users through the different types of tickets available for the upcoming Australian Open, then links them directly through to Ticketek’s payment page to complete the purchase. The ‘Australian Open Ticket Finder Bot’ was launched on 10 October as part of a paid advertising campaign on Facebook, which in turn sits in a wider multi-channel program of activity for the Australian Open across TV, outdoor, radio, online video and direct response such as paid search, display and social. In its first week, the bot delivered 170 per cent more conversions than linking users directly to Ticketek, Tennis Australia said, at a lower cost conversion rate. 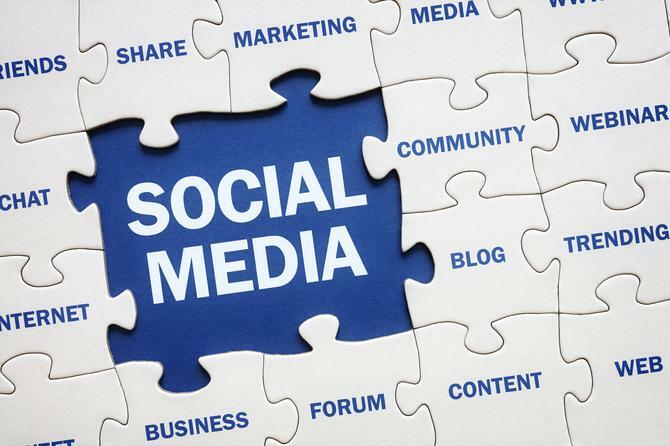 More than 600 conversations have taken place within the bot, generating 141 conversions and 25 times the return on investment. Tennis Australia’s intention was to target fans who wait to purchase tickets closer to the tournament dates. Zenith Melbourne head of digital, Kevin Alphonso, said the ambition was to make it easier for users to find information and transact online. Tennis Australia isn’t the first to bring bots to the Australian Open. Blackmores launched an AI-powered 'wellness' bot at the 2017 Australian Open aimed at helping consumers stick to their New Year’s resolutions. And there are a number of other Australian brands embracing bots as a way of improving real-time customer engagement via social since their debut last year. Domain Group, for example, launched a messenger bot last year enabling consumers to find property information by searching any location and dropping a pin. The bot instantly showed properties relevant to their location or search.